Our team of highly experienced and efficient cleaners offer a professional cleaning service for commercial companies, such as offices and shops in and around London. 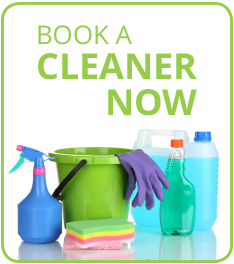 We offer a range of cleaning contracts, whether you want a cleaner on a regular basis, every now and again or for a deep spring clean, we can arrange a cleaning service that suits you and your business. Our Workbuster cleaners can tidy your office during work hours, or after the associates go home. Either way, your business will be left gleaming from floor to ceiling, no desk or shelf will be left undusted. Your clients and customers will be left impressed with the care and attention you pay to your company surroundings, leaving a lasting positive impression. Our commercial cleaners have a wealth of experience, with Workbusters cleaning London businesses and offices for over 20 years. We have over 500 happy, loyal customers, that rely on Workbusters to keep their companies clean and tidy, so they can continue to be a spotless, welcoming work environment for employees and customers to enjoy. If you are gearing up for a big meeting, an open day, sales event or about to throw an office party, Workbusters professional cleaners can give your space a one-off deep clean. We can not only clean before the event but will make sure your premises are spick and span afterwards as well. No cleaning service is too big or too small. These are just some of the shop/office cleaning services we offer, there are many more jobs we can help with. If you have a special request or what like to discuss cleaning contracts, contact our friendly team to discuss your requirements. If you require our office cleaning services and are based in or around London, find a cleaner here!